It is one of the most imposing settings in all of collegiate ice hockey: the Shanarena, located in the heart of Mitakihara University. On the rafters of this ice sports facility, the banners are many. There are two sets of banners: rose letters on white for the men, white letters on rose for the women. They indicate the many Western Collegiate Hockey Association and NCAA Division I Championships won. Up until the end of the 2019-20 season, Mitakihara's men's and women's ice hockey programs were having average seasons. The bottom fell out in the 2019-20 campaign, when both the men and women finished winless. 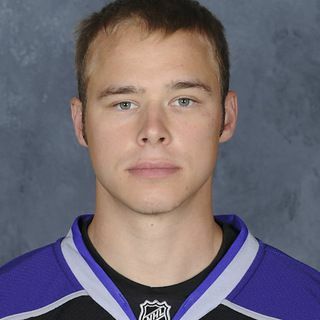 However, fortunes changed when following the 2020 men's and women's Frozen Four, former Los Angeles King Dustin Brown was hired as the coach of the men and Kaitlin Imai, a former UBC Thunderbird, was named coach of the women. Kaitlin Imai (left) and Dustin Brown are the coaches of the Mitakihara Puella Magi and Magi ice hockey teams and have been on a string of success since 2020. Since then, the teams have not looked back, winning WCHA titles and NCAA Division I National Championships left and right. Magi men's ice hockey and Puella Magi women's ice hockey have been responsible for the last eight WCHA and NCAA National Championships. "I really wanted to try my hand at coaching after winning four Stanley Cups with LA," said Brown, monitoring a practice on Monday before the players hit the road to face Bemidji State. "I think it worked out in the end. We've seen over 20 players get selected in the NHL Draft and this year's team may be the best we've had in a long time. "I miss playing the game, but the desire to really go out and coach these players makes up for it. I love the intensity and the passion that my guys bring to the ice. When it's game time, I see a sea of rose, pink and white. They're waving flags, they're chanting...it's like a soccer atmosphere." "I've had people come to me and tell me that it's like watching a soccer match with all the flags and chanting and singing," Imai said before the women practiced. "It's a carnival atmosphere, especially in the winter months. "The Shanarena, in the offeseason, is used for conditioning not only by our hockey players but also aspiring figure skaters and ice dancers. We've seen Olympic medalists train here in M-Town. They say the ice and acoustics here is a lot better than in Vancouver or elsewhere, and that's a good thing." Imai herself is a close friend of Magi football offensive coordinator Homura Akemi and does come to the games on occasions when available. "The passion and skill level of the football team, the desire and determination...were things I wanted to bring when coaching the Puella Magi women's ice hockey team. It seemed to work. We're been on a roll since 2020, and I think we're going to keep it going this year." The Magi and Puella Magi are currently 6-0 on the season and are No. 4 on the USCHO.com Poll.